Are you searching for that elusive secret to success when it comes to losing weight and keeping it off? It’s true, most of us are looking to slim down. And we don’t just want to drop a few pounds. We want our ideal weight, and to keep those unwanted pounds off permanently. No more! I bet you’re tired of this dizzying array of diet options. This isn’t about the South Beach Diet®, the Zone© diet, the Paleo™ diet, the Atkins™ diet… this program gets back to the fundamentals, and it’s easy to follow. The LifeStart way makes sense! This program is FREE, and it’s been proven. 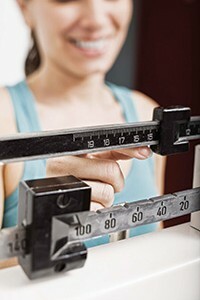 I’ve seen positive results from multiple patients that came through our weight loss clinics. Several have even reversed their type 2 diabetes and gotten off insulin! You CAN lose weight. You can get off this vicious cycle of diet trends and information overload. You can achieve a higher level of fitness and wellness. And it’s easier and simpler than you may imagine. In fact, it starts by investing only 30 minutes of your time. If you do struggle with being overweight, you don’t have to feel bad about yourself. You’re not alone, and you’re not a failure. Aside from genetics, an average American lifestyle contributes to higher stress, sedentary habits, unhealthy convenience food, and then ironically tops that off with an obsession with appearance. This is a recipe for disaster. And it’s why obesity is now at an all-time high. 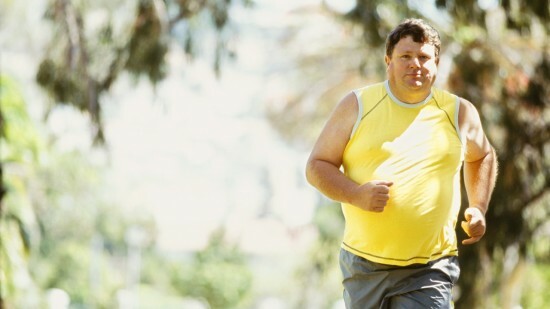 In the United States, more than 60 percent of adults and increasing numbers of children are overweight or obese. That’s also why incidences are rising for other diseases. This is why losing weight means more than just a number on a scale. Your entire vitality can be affected by the amount of fat you carry. While the road to weight loss seems daunting, we at LifeStart are here to tell you that you can put an end to this struggle simply by making strategic lifestyle changes you can stick with. Even if you’re battling a family history of obesity, diabetes, high blood pressure or more, you can achieve this victory. This is not primarily about dieting. And it’s certainly not about some new fad or new product on the shelf. We have nothing to sell here. This is about cutting through the clutter of health trivia and embracing the fundamental facts that have been PROVEN to work. This is about simplifying your life and bringing out your true self that may have been buried beneath stress, low self-esteem, and low energy. There’s so much we can do in the areas of diet and nutrition that can easily be made into healthy habits that become second nature to us. Soon we can stay healthy without even thinking about it. That’s because LifeStart covers all the bases. 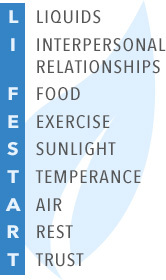 The toolkit to fight obesity, achieve your ideal weight, and become healthier and happier in general lies in the letters of LifeStart. It represents starting life anew, complete with confidence that you are in control of your body and you can decide how it’s treated. If you heard that just 30 minutes could change your life for the better, would you set that time aside? I’m a board-certified specialist in preventive medicine and internal medicine. I used to be the medical director of a hospital-based weight loss clinic and I’ve helped people from a variety of situations and backgrounds achieve their weight-loss goals. I invite you to meet me at LifeStartSeminars.com, where you can attend Lose Weight Naturally, a FREE 30-minute seminar in which I will discuss all the tools you’ll need to become fit and trim and finally say goodbye to your frustrations with weight management. Take this opportunity to end the struggle and gain the level of fitness you’ve always dreamed of.